OWASP Mutillidae II is pre-installed in Samurai Web Testing Framework and Web Security Dojo (ethical hacking sandboxes, pre-configured vulnerable targets). However, the release version is likely outdated. In your web browser, open the http://mutillidae/set-up-database.php URL address to rebuild the database. In your web browser, open the http://localhost/mutillidae/set-up-database.php link to rebuild the database. 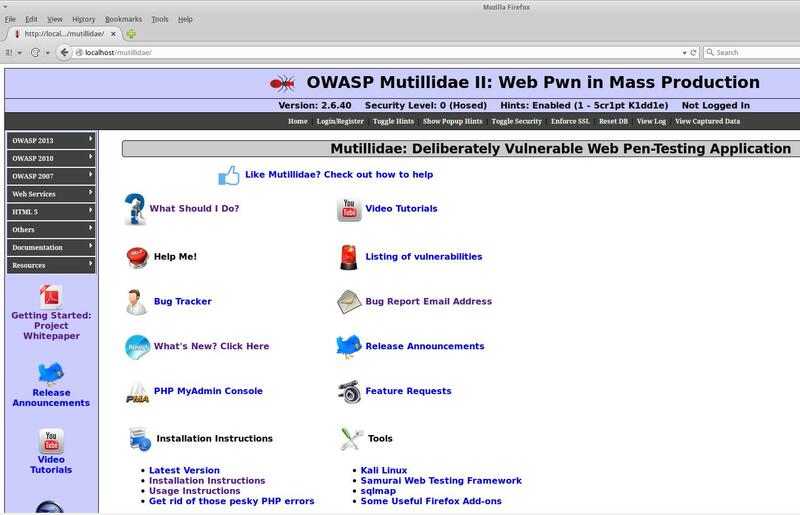 To install OWASP Mutillidae II in Kali Linux follow this guide.